Tali's Wedding Diary - Julia Anastasopoulos, Ari Kruger and Daniel Zimbler. Thuli noThulani - Rethabile Ramaphakela, Mpho Osei, Karabo Lediga, Anne Davis, Julian Koboekae, Tshegofatso Monaisa, Meren Reddy, Bradley Katzen and Katleho Ramaphakela. Kgomotso Christopher as Yvonne in Scandal! Isibaya - Paul Rowlston, Mpumelelo Grootboom, Jacob Ntshangase, James Whyle, Zolisa Sigwanda, Chris Blomkamp, Byron Abrahams and Mbalizethu Zulu. Isithembiso - Charleen Ntsane, Chris Blomkamp, Daniel Zimbler, Sayitsheni Mdakhi, Iain Paton, Catherine Muller, Libby Dougherty, Andrew Petersen, Mbasa Tsetsana, Thabo Boom and Matthew Jankes. 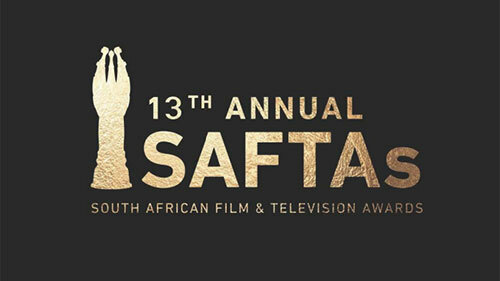 This is the first time that the SAFTAs have split soapies and telenovelas. Please note: shows that aren't in this category didn't enter the awards. The ceremony takes place on 2 March 2019, at Sun City, and will broadcast live on SABC2 at 19h00. The theme of the awards is Dare to Dream. Monique Rockman as Pam Ismael in Nommer 37. I wonder why the Fergusons opted out of the awards this year. Congrats to The River...well deserved!!! The SAFTAS need to do away with 3 nominees per category. Let other kids shine too. Absolutely there should be 5. Even Robbie Thorpe - the Head Judge from three years ago - said there should 5 but they never listen - they just got rid of him!